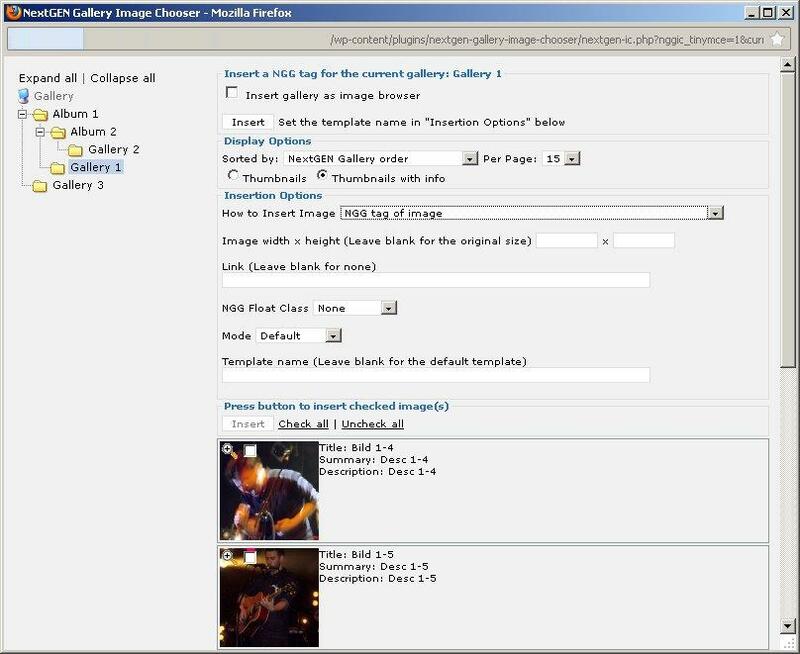 The NextGEN Gallery Image Chooser is a WordPress plugin. It allows to comfortably insert NextGEN Gallery (NGG) tags and HTML <img> tags into WordPress posts for NGG images, galleries and albums. When I startet work on this plugin, the major drawback of NGG, as far as I'm concerned, was the minimalistic image chooser, which did not show previews of the selected images and only allowed to select one image at a time. 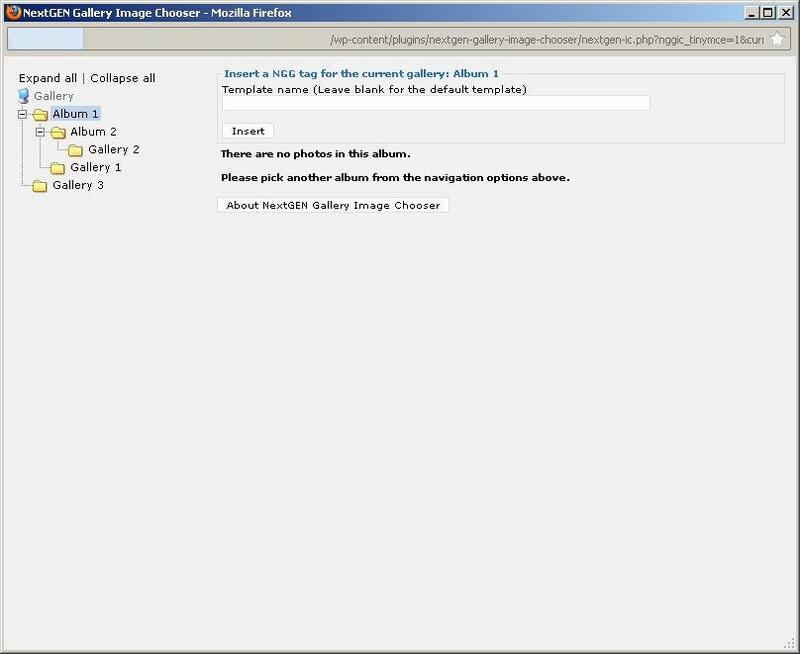 So I've taken the liberty to adapt the existing excellent g2image image chooser, which also is embedded in the WPG2 connector to Gallery2. For more information about the plugin and to download it, please go to its Wordpress plugin page. 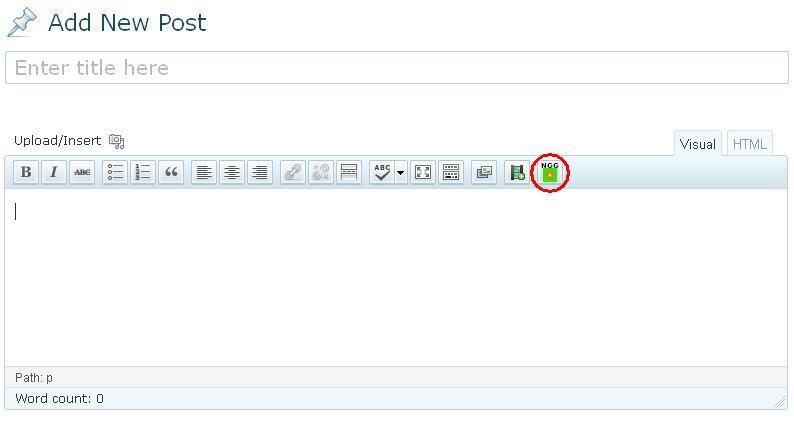 To ask questions or report problems, please search the plugin support forum or go to the plugin's support page.